The following is another post republished here with permission of the author David Roberts. The original piece was entitled "Post-truth politics," and it was published in Grist: A Beacon in the Smog on April 1, 2010. 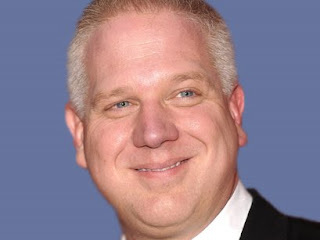 This is being republished as reference material going forward and because Glenn Beck engages in post-truth politics to a degree that far exceeds what Congressional Republicans engage in. During this strange lull in the (endless) development of the federal climate bill, I’ve been mulling over a few political notions. choose facts to bolster those arguments. Though party is the most common tribe and the best indicator of issues positions, there are other heuristics at work as well. One crude way to judge a proposal is by how much support it’s getting from the “other side.” To most voters out in the vast middle, consensus across parties is a very strong indicator of acceptability. Conversely, if there is no support on the other side — if the proposal is controversial — there is something suspect about it. Over time, both parties will push positive proposals/legislation. Quite obviously, the Bipartisan Party will be at a tactical disadvantage, due to its lax discipline. Less obviously, it will have an ongoing optics problem. All the proposals of the Partisan Party will be bipartisan. That is, a few members of the other party will, predictably, peel off and cross the aisle to stand with the Partisans. None of the proposals of the Bipartisan Party, on the other hand, will ever be bipartisan. No Partisan will ever support a Bipartisan measure. In fact, all proposals of the Bipartisan party will face bipartisan opposition — as a few Bipartisans trudge across the aisle (there are always a few!) to stand with the Partisans. Result: the Partisan party, thanks to its unremitting opposition to bipartisanship, will be able to present itself as the party of bipartisanship, and be able to critique the Bipartisan Party, with considerable force and conviction, as the hypocritically hyperpartisan party of pure partisanship. Republicans have quite cannily figured out how to manipulate voters’ heuristics. No matter what Democrats do or propose, Republicans meet it with maximal, united opposition, criticizing it as socialism, tyranny, or appeasement. They’ve accurately realized that all they have to do to render Democratic proposals controversial is refuse to support them. As a consequence, no matter what Democrats do or propose, they’ll have to deal with the optics of their proposals appearing partisan. For Democrats shaping policy, this suggests a two-fold strategy. First, they should pull attention to issues and proposals where the political ground is already favorable, from broad stuff like financial reform to narrow bills on jobs and energy. Second, on those issues that are inevitably going to be controversial, aim for maximally effective policy and deal with the politics separately. In post-truth politics, attempting to change perceptions by weakening policy is a category mistake. Remember, no matter what shape a Democratic proposal takes — a centrist health-care bill full of ideas Republicans supported just a year ago or a cap-and-trade system like the one first implemented under George H.W. Bush — Republican opposition will be maximal. So: fight the opposition on political grounds and concurrently craft the best, most effective policy possible. The political controversy around a bill, whether it’s over partisanship, back-room deals, or procedural maneuvers, is ephemeral. It will pass quickly. In the end, the policy will be judged by its effects on voters’ lives — whether it solved the problem it was designed to solve.